On the road again? Discover Texas history at the I-10 Chambers County rest stops. Due to the fire at ITC, and cleanup, the battleground and museum are closed today. Support the Museum through the closure; gifts of any size are welcome. See the past through Cecil Thomson's eyes, in photographs 1860-1952. Learn how the Curriculum Guide can energize your classroom. 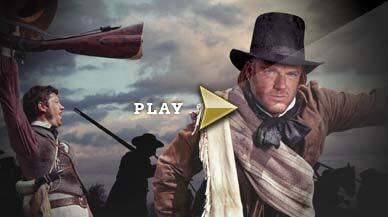 Uncover the origins of the Lone Star State at the San Jacinto Museum of History. Discover how a decisive 18-minute battle for independence empowered a young nation and forever altered the course of world history. The story of America is infused with the legacy of Texian valor. A dedicated soldier's letter to his family tells of tragedy and triumph as the battle draws close — and freedom even closer. Wm. Harrison Magill is my third great-grandfather. My daughters and I hope to visit the museum one day. Thank you for keeping history alive. My 4th great grandfather is James Harrison Evetts... what a find! Love the Monument and all the history. How lucky was I as a kid to be able to walk out our front door to see the monument standing there. Awesome! Martin E. Reid, Houston Tex. I want to bring a group of senior citizens to take the boat tour. My cousin Juan Seguin and his 9th company of Tejano volunteers under Sherman's advance helped win independence here. I love Texas! Remember the Alamo! Remember Goliad! Could you show a VR tour? Great place to remember those who made Texas possible. jerry w barnett, fairhope, al. Native Texan, returning (after 60 yrs.) on the 06 17 2017 to see the rest of our history. Originally from S.A..
Great Grandfather was Thomas A. Graves. He served at San Jacinto. Great Uncle Ransome O. Graves was murdered at Goliad. Both were Texas Rangers. This place is an absolute BLAST! Three of my ancestors fought and died at this battle. I saw their names on the monument in April 1991. Abram, Eli and one more Mercer are listed! OMG I like totally love it!! Very nice website good job webmaster!! I loved the online exhibit about the development of railways around Texas. It is very interesting! I love Texas! I also loved the video. Wonderful images selected for the on-line exhibit on Texas railroads! I highly enjoyed it. Thank you! I live near the battleground, have been visiting the battleground for years. Always enjoy walking around the battleground and viewing the history. my Great Uncle Willis Avery, Great Uncle William McCutcheon served in the battle of San Jaciento. As well as Jimmy Curtis my cousin's FILaw. My Great Great Great Uncle Matthew Mark Moss fought at the Battle for Texas Independence and lost a stallion in the fight. My great-great grandfather was Edward McMillan. He fought at San Jacinto,later married Ann Marjorie McQuiston. Her family donated gold to fund battle. WORKED FOR TPWD BACK IN THE EARLY 80'S AT THE MONUMENT AND HAVE SEEN THE GREAT CHANGES. GREAT WORK! The family story passed down says my grandfather, James Cecil McMillan, helped build the star. going today since I was a kid so it's been very many years. I have been to several of the reenactments, unfortunately it seems they have had too much rain, but I keep coming back, I will see you in 2016. I will be visiting in a few weeks. I'm really looking forward to it! Found out a few days ago that one of my ancestors, who was from Bastrop, TX fought in the Battle of San Jacinto. I'll have to come visit the monument. My family and I visited this beautiful monument and showed them what it is to be a true Texan. Remember the Alamo! Toured the battleground for the first time last summer. I'll be back this summer! Remember the Alamo! A few years ago I acquired copies of 19th Century family papers from your library. It was a thrilling find. Thank you! Today, my wife and I are coming to visit. Look forward to seeing the museum. I was able to visit this museum about 17 years ago.. it is the only time in my life that I was ever able to find something with my name printed on it. Thomas A. Graves was my great great grandfather. His brother Ransome was killed at Goliad. He was a surveyor and a Texas Ranger. He fought for Texas! I plan to visit during the 2015 Festival. I am a great-great-granddaughter of General Sam Houston. My uncle is Sam Houston IV of Katy, Texas. My family owned this land. The State of Texas condemned the Habermehl land so it could be part of the State Park. My husband and I plan on visiting at the end of April. James S. Patterson is my 3rd great grandfather and I look forward to visiting the site. Greetings from Germany, we wish you folks a happy new year! I'm a proud born Texan. I used to look at the monument from on top of our shed. I visited several times as a child. Always made me proud. I enjoy the knowledge on your site. Many thanks. My Great Great Grandfather Alfred Hallmark, a veteran of the battle of San Jacinto, also a delegate at the 1879 Texas Veterans Convention at the site. My young sons are looking forward to visiting with their Grandparents. They are 8th generation Texans and learning more about their family history! I really enjoyed viewing your new website and web cam. This will be a great educational tool as well. I can't wait for the Time Capsule that is buried their at the Monument to be opened. I am a Native TEXAN and proud of it. I'm proud to be a native Texan. While serving in the Army, I got to see much of the world, but no where on Earth did I find a place better than Texas! I was shocked to find my gggg-uncle William C. Swearingen had fought at San Jacinto and written a famous letter. We're happy to help with genealogical inquiries! Visit the Ask the Librarian page and be sure to include your email address. How can I get information about my Great-Great-Great Grandfather Thomas Box who fought at San Jacinto/settled in Houston County? My great-grandfather, Reinhold Topfer, was an engineer/iron-worker who framed the Monument's Lone Star in 1930's. I am an Aggie and proud Native Texan. I belive that my 3rd Great Grandfather, William Harrison Pate, was one of the soldiers at the battle. Is there a way to document this? Native son of Texas; born in July 1966. I love coming here. I learn something new everytime I come here. Makes me love my state that much more!!!! Proud Texan that finds much pride in a historic place where our future was defined by a few hundred brave Texan Men. Strong/Brave Texan Men vs. Satan. After visiting the Monument and Battlegrounds, we have a deeper appreciation and pride for Texas and all those who fought and sacrificed. Very excited to visit the battleground and museum when my deployment ends. Can't wait to go experience some of my history! Very nice upgrade to the site! We'll get the word out on the film's Facebook page and web site. Thanks for all you do. Great job on a beautiful new website for all to enjoy! This past weekend, my husband and I visited the monument, museum, and battleground. There is so much Texas history here! Recommend it to all Texans! We would like to visit! We are reading a Time For Kids article, A Tall Tale about the monument. I visited the monument in 2011 for the 4th annual Wheel House motorcycle ride. I loved to learn all of the history of the battle. I love the site and I am making my plans now to attend the reenactment. Here in remembrance and honor to Philip Walker. Your sacrifice and those of your fellow "Texans" are appreciated and remembered. Today is a windy day and I came here with my friends. My name is Mimi and I had a great time. Me gusto mucho el museo. "Big Energy: A Texas Tale of People Powering Progress"
The birthplace of Texas is now an energy hub, powering progress globally.